I had the opportunity to visit Sterling Restaurant Supply in Sterling, VA. 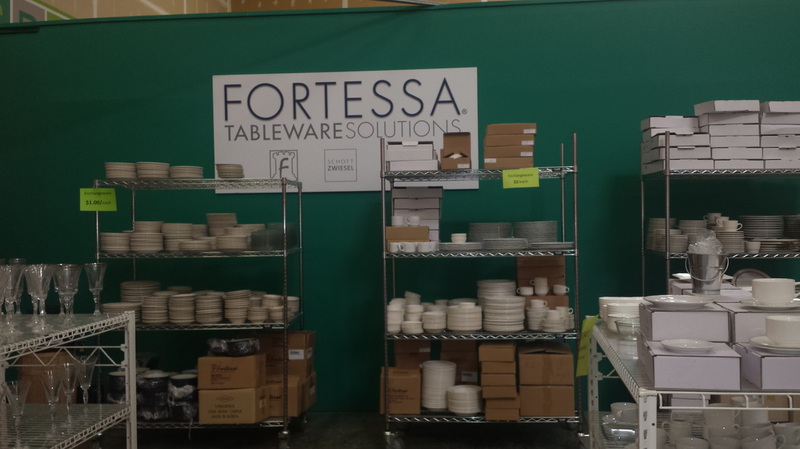 This store is the exclusive outlet location of Fortessa Tableware Solutions products and is open to the public! There are two sections of the store: the warehouse, where restaurants can buy in bulk, and the showroom, which is more appropriate for individual items. 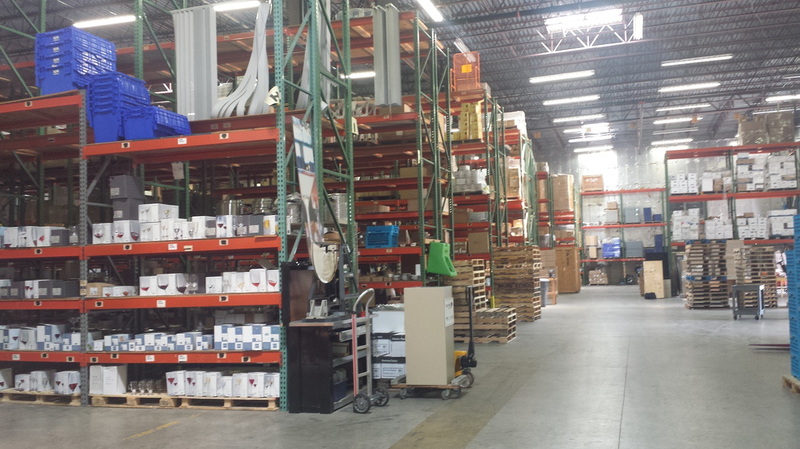 SRS holds quarterly warehouse sales and has monthly specials. With a wide-range of inventory arriving, it is good to visit SRS often! SRS carries discounted commercial-quality dinnerware and multiple styles and lines of Schott Zwiesel glassware (Made in Germany, “The World’s Best Crystal Glassware”). They also are an exclusive distributor of Virtuose Stainless Steel Commercial-grade pots and pans. 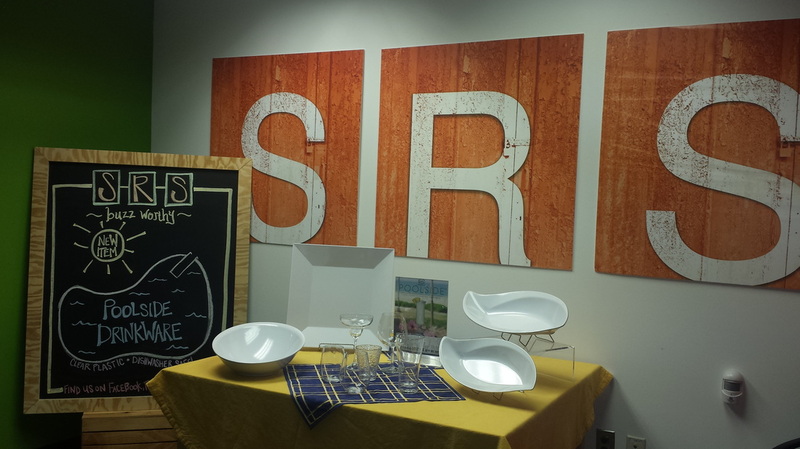 SRS had a good variety of items for gifts, such as cutting boards, cheese knives, 20-piece knife blocks, and decanters. 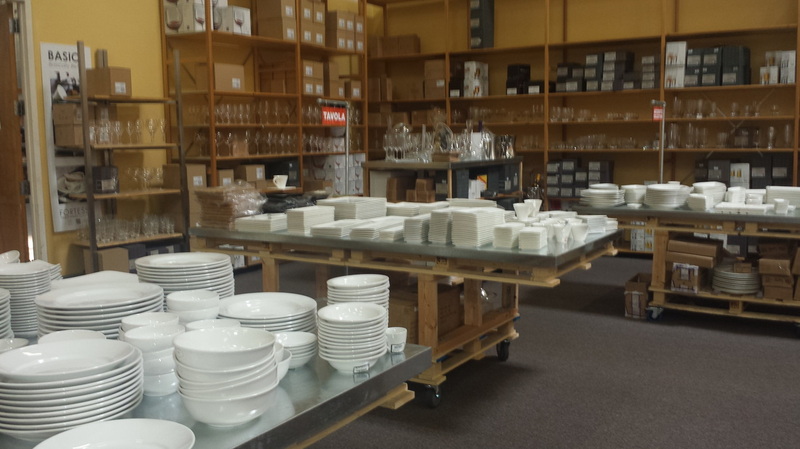 It also has great items for entertaining: melamine serving platters, appetizer picks, glassware, and chef tools. 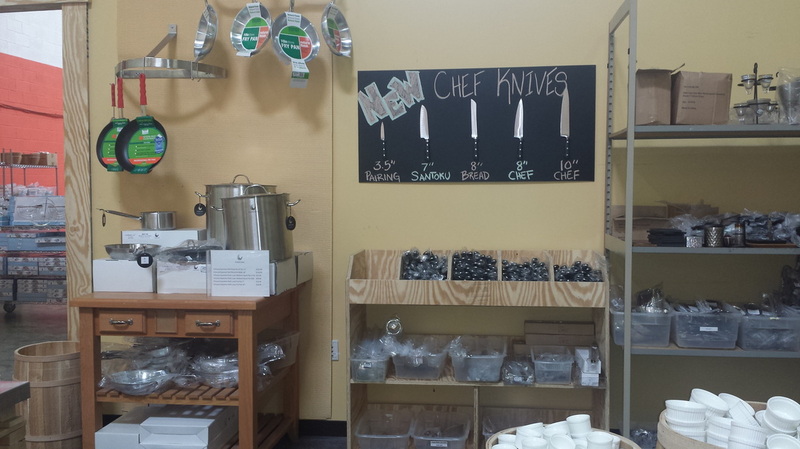 Sterling Restaurant Supply is a good place to visit when you need inexpensive, yet high quality kitchenware. It is good for families, churches, small businesses, and restaurants of all sizes. 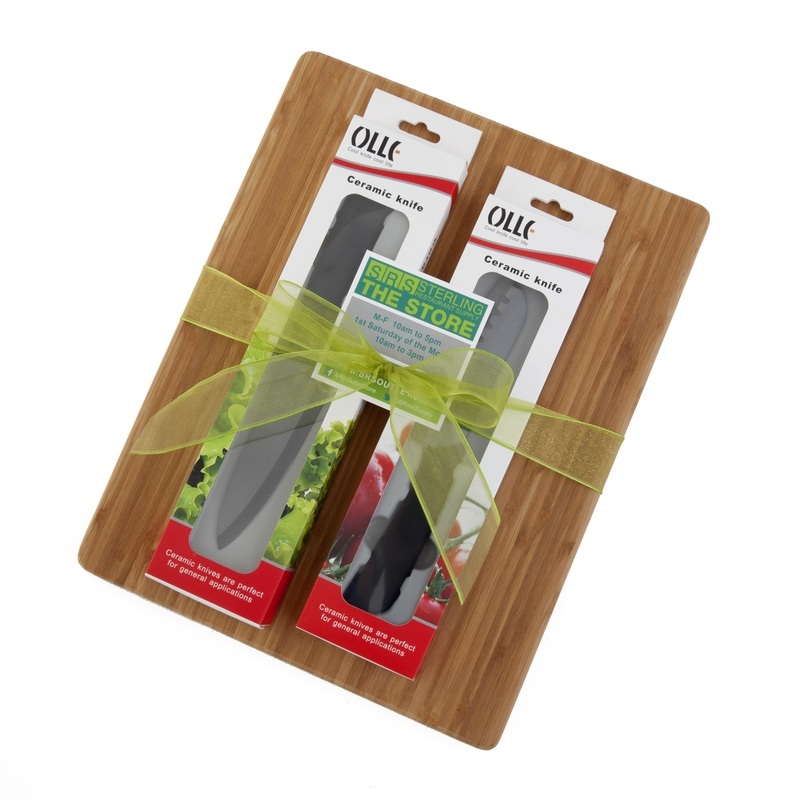 Sterling Restaurant Supply has donated a bamboo cutting board and ceramic knife set for giveaway! I have used the cutting board and knife for numerous things already, including making this delicious breakfast, and they are really great. The knife cuts so smoothly and easily! It has easily become my favorite knife above everything else in my expensive knife set! Make sure to visit Sterling Restaurant Supply for all of your kitchen needs! Don’t forget to mention that DISNEY KATIE sent you!! **Disclaimer** Sterling Restaurant Supply provided me with free product in exchange for my honest opinions in this review. These opinions are my own, and I was in no way financially compensated for this review. Ooh, that looks like a great store! It’s nice to know the public can go in there and buy! I’m getting my list ready.